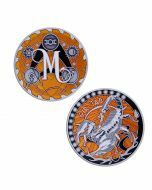 Aries is the eighth geocoin in our Zodiac series. 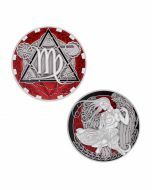 The dates for Aries are March 21st - April 19th. The sign of the designer, he notes that the ram was both a winged ram like a Pegasus and also the golden fleece ram warded by the dragon of time. 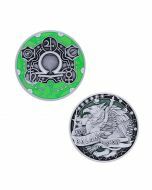 You're reviewing:Zodiac Geocoin- Aries- Last Chance!! !